Some of America’s oldest high school bands are still making beautiful music together. 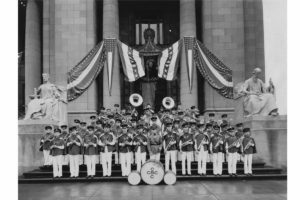 Six years before Abraham Lincoln gave his famous Gettysburg Address, the first high school band in America was formed. When the superintendent of the Boston Farm School on Thompson Island overheard about a dozen students singing and playing tissue-paper-covered combs to entertain themselves one day, he was inspired to bring a music program to the school. 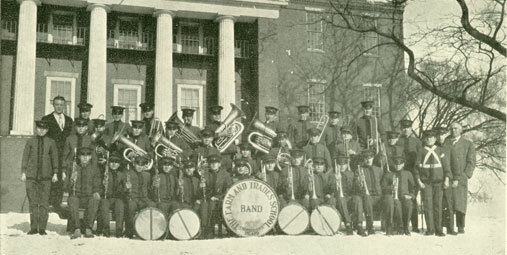 In 1857, the superintendent purchased instruments and established a band, complete with brass, reeds, drums, and uniforms. 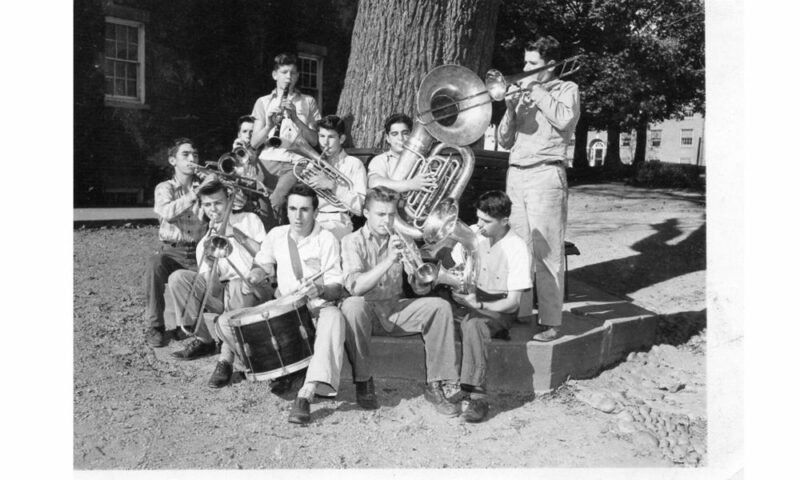 More than half of the student body eventually played in the school band, and six early band members joined the Boston Symphony Orchestra. Sadly, the Boston Farm School Band no longer exists. The school changed its name a few times over the decades, then shut its doors in 1975 when it was known as Thompson Academy. The facility became an outdoor education center, later partnering with Outward Bound. Today, thousands of Boston’s middle school students travel by ferry each year to visit the Thompson Island Outward Bound Education Center for lessons about science, nature, character development, compassion, and service. 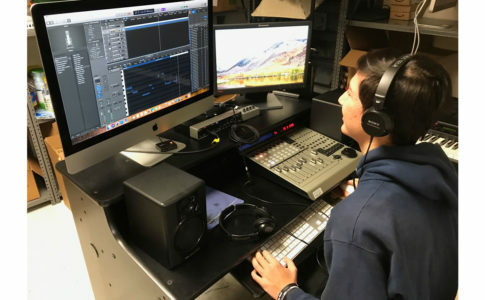 When students still attended Thompson Academy through 1975, the music program made a significant impact on the community as well as the students in the band. In 1872, the Christian Brothers Band was formed at the all-male Christian Brothers High School in Memphis. The group has been performing ever since and has had only 10 band directors during its 146-year history. The current band director, Patrick Bolton, attended the school and was a member of the band. 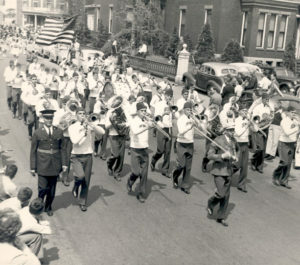 Within a year of the band’s formation, members marched in the 1873 St. Patrick’s Day Parade in Memphis. Throughout the decades, the ensemble has performed in notable places—including Carnegie Hall in New York, The Kennedy Center in Washington, D.C., and the Orpheum Theatre in Memphis—and has played for notable audiences, including President Grover Cleveland and President Richard Nixon. “The band has been called on by the city [of Memphis] to perform at many important dedications and celebrations over the years, including the dedications of the [Frisco] Bridge, the Memphis Court Square fountain and for … many churches and hospitals, including St. Jude Children’s Research Hospital,” Bolton says. Like most school bands, the Christian Brothers Band performs at football games. The school also has a unique historic band program that sets them apart from most other schools. 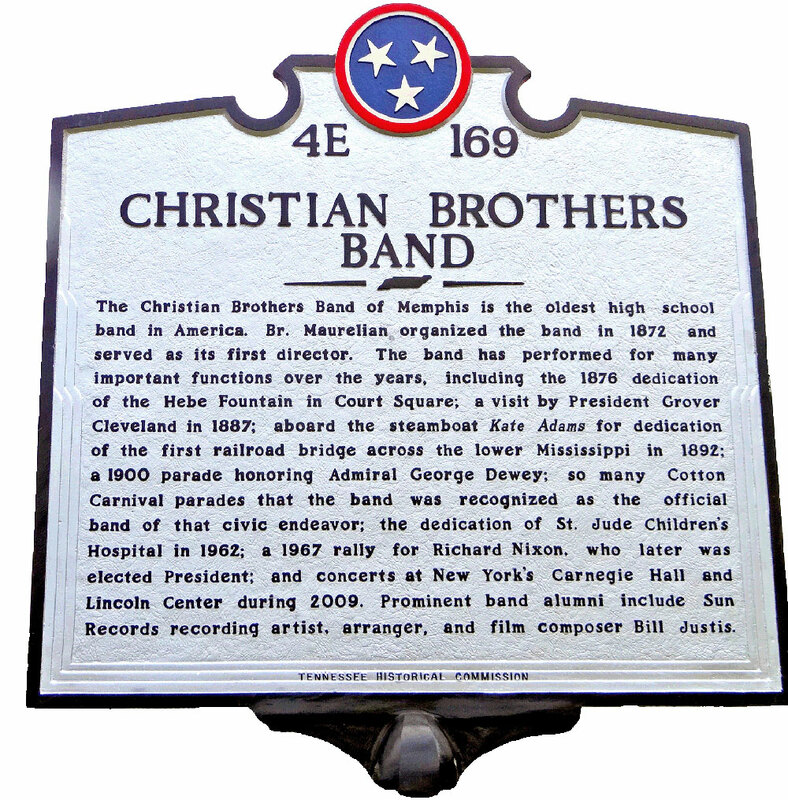 In 2012, the Tennessee Historical Commission installed a historical marker, honoring the Christian Brothers Band as the oldest high school band in America, near the school’s front entrance. In 1910, the principal organized a band at Richland Center High School, a few years after he’d formed a band at a different Wisconsin high school where he’d previously taught. 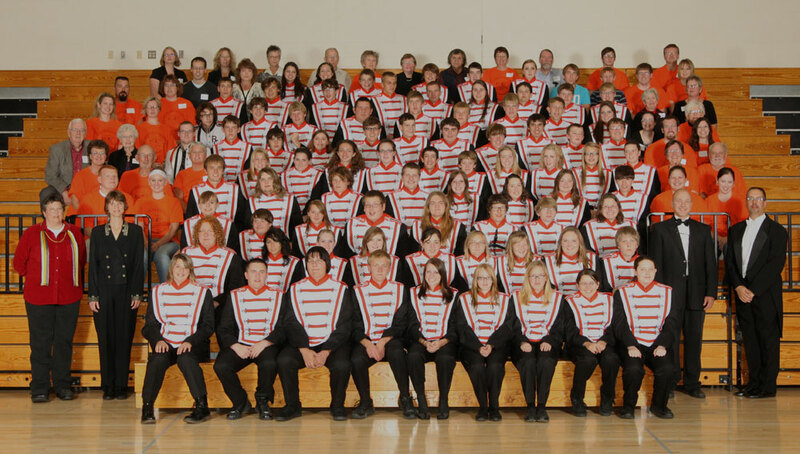 The original Richland Center Band was primarily a marching band. Today, the program includes a marching band, symphonic band, concert band, jazz band, and pep band as well as an extensive chamber ensemble program. formally organized Band Mothers group. In 1937, then-director Morris Leonard received a patent for the twirling drum major baton and started a baton-twirling corps boasting more than 30 participants. More recently, the band performed for President George W. Bush during his re-election campaign and played in the rotunda of the State Capitol in 2013. 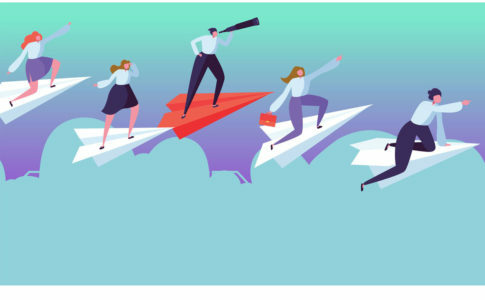 Although the program has gone through many changes in its decades of existence, its popularity hasn’t waned with the passage of time. 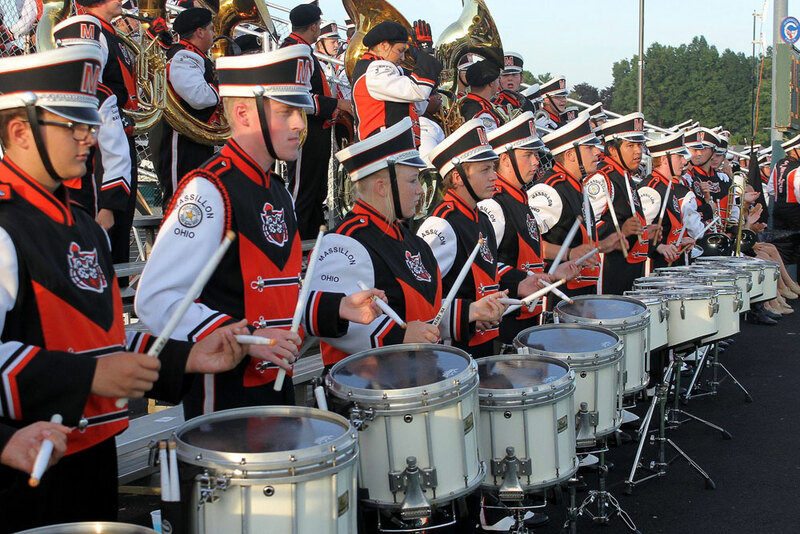 Although the Massillon Tiger Swing Band only claims to be Ohio’s—not America’s—oldest football band, it has a rich history. The band began playing together during the 1914 football season, which was documented in the 1914 to 1915 Washington High School yearbook. Originally, the football band performed like a traditional John Philip Sousa military-style band. Then in 1938, George “Red” Bird was hired, and he dramatically changed the band’s style. Bird had previously run stage, vaudeville, and burlesque bands and knew about showmanship. He introduced measured step marching, at both 6 to 5 and 8 to 5, to the band’s marching performances. And that was just the start. “He incorporated music-cued moves and dance steps, themed shows with flood lights and staging properties, plus baton-twirling majorettes, and a student mascot dressed in a real tiger skin to change the halftime of a football game into a theatrical event,” Neel says. Bird also started calling the band the Tiger Swing Band as a nod to the swing music that was popular during that era. Once he’d incorporated these revolutionary changes into the band’s repertoire, people took notice. “Within a year, the band—along with the football team—received national acclaim and found itself in the pages of Life magazine in October of 1939,” Neel says. Tradition is everything for the Massillon Tiger Swing Band. For the past eight decades, the band has opened by performing “Fanfare,” “Tiger Rag” and “Carry On,” arranged by Bird, while the remainder of the halftime show changes from performance to performance. 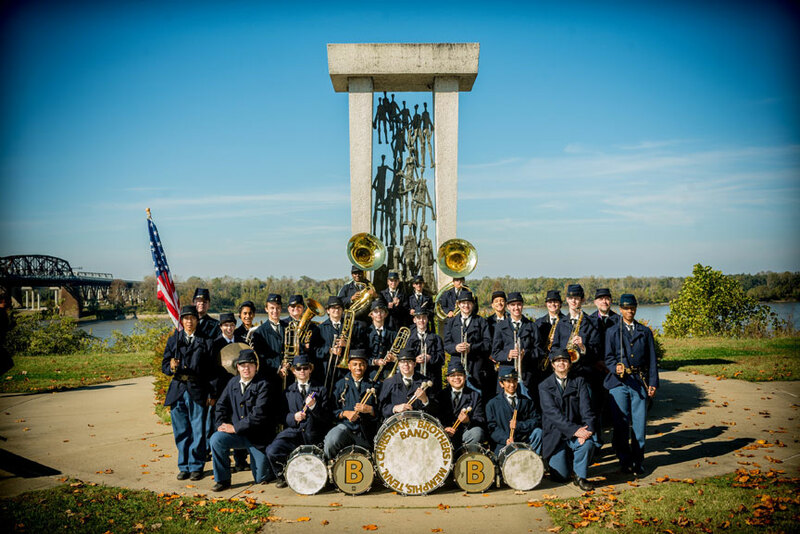 Over the years, the band has performed at many notable events, including the Macy’s Thanksgiving Day Parade in New York, the Tournament of Roses Parade in Pasadena, California, the Cotton Bowl Parade—which no longer exists—in Dallas, and the Pro Football Hall of Fame parade in Canton, Ohio. Students and alumni have taken a great deal of pride in performing with the Tiger Swing Band over the years. “At this year’s 80th anniversary show [celebrating 80 years since Bird revolutionized the program], 150 alumni showed up to perform alongside the current band,” Neel says. Photos of Boston Farm School/Thompson Academy courtesy of the University Archives and Special Collections Department, Joseph P. Healey Library, University of Massachusetts Boston: Thompson Island Collection. Photos of Christian Brothers High School courtesy of Christian Brothers Band Archives. Photos of Richland Center (Wisconsin) High School courtesy of Richland Center High School Band archives. Photos of Massillon (Ohio) Tiger Swing Band at Washington High School courtesy of Washington High School and band archives and Bill Joseph.